One common and inevitable task undertaken by home owners is meticulous home improvement. At Mt. Pleasant Window and Remodeling, we take care of tedious home improvement tasks, with reassurance for you! We have nearly 40 years of experience in the industry and a well-respected reputation that you can truly rely on. Our clients expect quality workmanship, a commitment to a clean work environment, and an overall air of professionalism, so we provide exactly that for each project we handle. 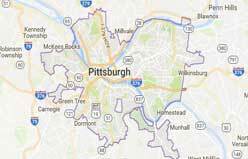 Though home improvement is one of the most dreaded tasks that homeowners need to keep up with, at Mt. Pleasant Window and Remodeling we make the experience gratifying and frustration-free. From work stability and longevity, to an outstanding reputation and favorable previous customer references, we provide everything you need to feel comfortable in your decision of choosing us for your next project. Other contractors in the area may claim to be superb, but at Mt. 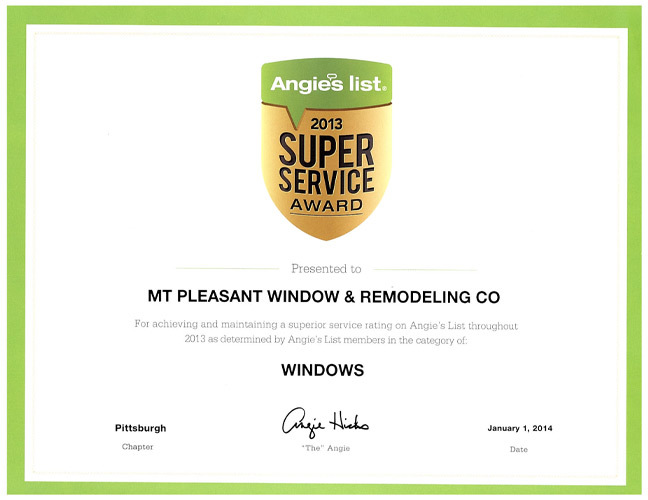 Pleasant Window and Remodeling we prove our excellence. Over the past 4 decades we have built up our reputation to be nothing but stable and satisfying for us and our customers. We are Better Business Bureau Accredited, Lead Safe Certified by the EPA, as well as specifically certified for precise Pro Via installations. 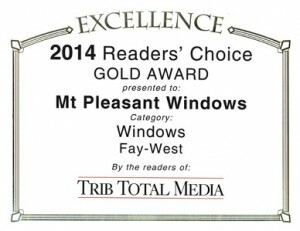 And with accolades including the Readers Choice GOLD Award of Excellence in 2014 from Trib. Total Media, and the Buyer Services Award from Angie’s List in both 2012 and 2013, our services are notably the best around. Forget about worrisome do-it-yourself projects and mysterious contractors. Let us at Mt. Pleasant Window & Remodeling relieve all of your remodeling stress today! Call now to learn more about our stunning services, and to schedule your project consultation. We have proven to provide quality work, over and over again, which we will continue to do for more years to come.